The terms "rattan" and "wicker" are often confused because they tend to be used interchangeably. For example, many people believe rattan garden furniture is the same as a wicker garden furniture. The confusion is understandable because the differences aren't readily evident, but rattan and wicker are indeed separate from one another. Rattan is not wicker and wicker is not rattan. The defining difference between the two is that rattan is a material whereas wicker is a style of weave. For example, there are many choices of garden furniture that use a wicker rattan weave. That simply means the physical material the furniture is composed of is rattan, and the weave style is wicker. Thus, "wicker rattan weave." To help you understand the differences even further, let's look at a few definitions. Rattan is a vine-like species that grows in tropical regions located in Africa, Australia, and Asia. When the skin is peeled away, it presents a flexible yet sturdy material that can be weaved into various shapes. Even the core of the plant is not wasted as it will be used in one way or another to build various types of furniture. There are over 600 different species of Rattan. Because of its strong, fibrous qualities, rattan garden furniture is a very popular choice. Rattan is flexible, durable, lightweight, and most importantly, attractive. These qualities have made rattan a very hot commodity for both businesses and consumers alike. Rattan's popularity comes with a price, however. When rattan stalks are cut down before they have fully matured, they don't have the ability to grow back. Therefore the plant is disappearing faster than it can replace itself. The industry has recognized this sustainability issue and have turned to synthetic materials that feel and look like rattan as an alternative option. Wicker is a style of weave that's been used for thousands of years. The wicker technique can be traced back to Ancient Egypt. Wicker furniture such as chests, boxes, and baskets have been found in the tombs of ancient pharaohs. The oldest wicker furniture can trace its origins as far back as 3,000 B.C. Though the wicker technique has been around for thousands of years, it truly became popular in the modern area due to the Arts and Craft Movement that began in the early 1900s. Advocates have spread the awareness of the wicker technique through seminars and workshops. 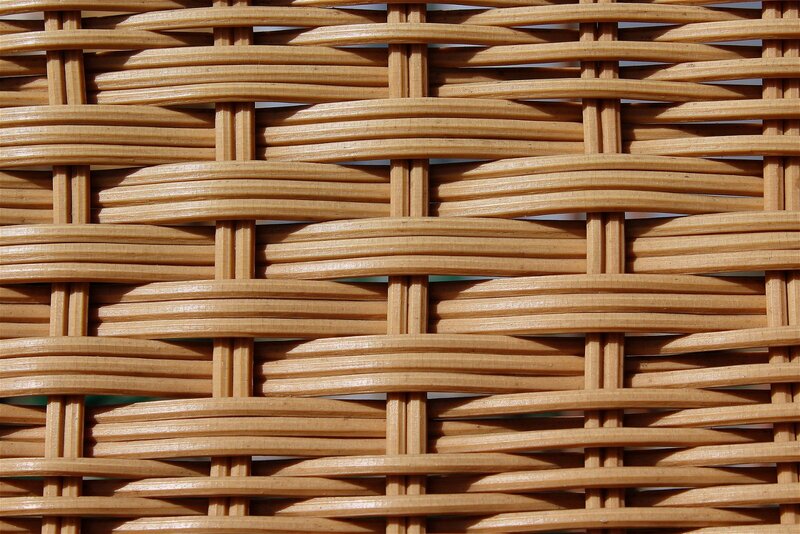 Traditionally, wicker is made of woven fibres though recently synthetic resins have been used to create wicker weaves. What are rattan and wicker used for? Rattan and wicker have been most commonly used for furniture design. When it comes to rattan, customers have fallen in love with the flexibility and durability of the product. Rattan is easy to maintain and clean (all you need is a wash rag and water) and is very affordable. Furthermore, the fact that rattan can be used both indoors and outdoors makes it the perfect choice for decorating a variety of environments and rooms that include dining rooms, patios, kitchens, garden areas, and more. Rattan can be used in any variety of designs. For example, rattan can be wrapped or weaved around furniture frames that range from modern, classical, contemporary, or vintage. Overall, Rattan furniture is lightweight, durable, stylish and affordable. It's everything that a consumer wants out of their garden furniture, and that's why it's so popular. Wicker is also popular for furniture design, but the main difference is that wicker furniture can be composed of multiple types of material. For instance, a wicker furniture set can be composed of cane, straw, reeds, willows, and of course rattan itself . 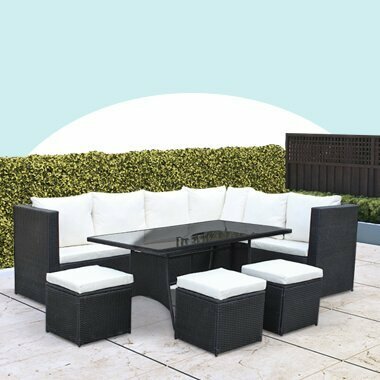 The one downside to wicker furniture sets is that they may not be as durable and easy to clean as rattan, but this of course is dependent on what material the furniture set is composed of. In terms of furniture design, wicker can be used to create stools, chairs, couches, benches and much more. Just like Rattan, the wicker design is woven around a frame to create specific types of furniture. Overall, wicker and rattan are not the same. The primary commonalities the two share is that they're both lightweight and they're both cheaper than your run of the mill wood or metal furniture sets. If you're looking for a stylish, light, and durable product rattan is certainly the way to go. If you're a fan of natural weaving materials, then wicker should be the choice for you.